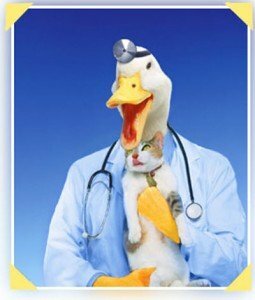 Patrick Holford is one of the many nutritionists, doctors or specialists of one form or another who make a living by selling false or misleading promises. Sometimes, they even endorse harmful remedies, or harmful avoidance of effective remedies, as is the case with Holford’s association with HIV denialism (and Scientology). Why does a national chain of pharmacies endorse this quackery? Read more at Synapses. The FSI submitted the following complaint to the Advertising Standards Authority of South Africa earlier this month. Let’s hope that they follow the example set by their Australian counterparts, and request that PowerBalance issue corrective advertising. We are aware that there are a number of similar products on the market – some making even more absurd claims than PowerBalance – and we are working on similar complaints with regard to these products. 1. Performance Technology: Marketing these products as “performance technology” implies that they have benefits in terms of athletic performance. No evidence to support this claim is provided, and this claim is therefore likely to mislead potential buyers into believing that the products have benefits that they do not have. 2. Natural energy field: The claim that the body has a natural “energy field” is vague and pseudoscientific. This cannot be referring to the sort of energy measured by physicists, but instead seems to refer to undefined “life energy”. We are offered no evidence that such an energy field exists, nor how it can be identified and measured. PowerBalance also provide no evidence for their claim that their product can interact with this (unproven) energy field, and offer no explanation of the mechanism by which it might be able to do so. 3. Balance, strength and flexibility: As above, the claim that these products have any effect – whether beneficial or not – on balance, strength and flexibility are made without any substantiating evidence. The fact that the product might be favoured by certain “elite athletes” is not scientific evidence for the efficacy of the product in question. 4. Holograms: A particular frequency is allegedly embedded into the holograms in these products. This appears to be little more than meaningless technobabble, designed to sound scientific. We are offered no evidence for why any particular frequency is chosen, or for how the imprinting of the frequency on to the hologram takes place. 5. Resonate with and respond to the natural energy field of the body: The frequencies that are allegedly imprinted on the holograms (see 4, above) are claimed to interact with the frequencies of our bodies (see 2, above). However, “a frequency can’t exist alone but has to refer to a number of repetitions of a periodic process per period of time. What is the periodic process that generates the frequency involved in the bracelet technology ”, and how is it determined that the frequencies chosen are indeed beneficial to humans? An additional element of deception can be found on PowerBalance’s website, at http://www.powerbalance.com/southafrica/test-video . The “test” conducted here is similar to the test that is frequently conducted at points of sale, where potential customers are shown that there are benefits in terms of strength and balance when wearing a PowerBalance product. However, these demonstrations are simple variants of what is known as “applied kinesiology”, frequently used by stage magicians to produce entirely subjective perceptions of increased strength and balance. Not only has this effect been shown to be entirely subjective and unscientific by peer-reviewed academic research , but it has also been shown to be false in double-blind experiments conducted with PowerBalance products , where a PowerBalance salesperson was unable to correctly identify which participants in the experiment were wearing a bracelet, and which were not. This test video, as well as variants on this test demonstrated by those hoping to sell PowerBalance products, misleads consumers into thinking that the perceived effects of PowerBalance products are scientifically demonstrable and reliable. In actual fact, the perceived effects are entirely unreliable, unrelated to the product itself, and entirely subjective rather than being a physical consequence of the wearing of any PowerBalance product. The false and misleading claims detailed above are also reproduced on package design, as well as in retail store promotional material for PowerBalance in South Africa. 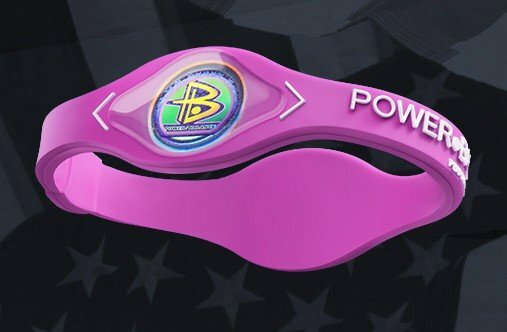 PowerBalance bracelets are currently sold at various retail outlets around South Africa, including sporting goods stores (Sportsman’s Warehouse), Cape Union Mart and pharmacies. They are worn by a number of professional sportspersons, including members of the South African national rugby and cricket teams. In all of these cases, as well as in the cases of competing (but similar) companies such as http://powerbalancewristband.co.za/ and http://quantumbracelets.com/index.html, we request that all instances of misleading promotional material be withdrawn. Furthermore, we believe that customers who have purchased such products will, in the majority of cases, have done so under the false belief that these products offered genuine benefits to their balance, strength or athletic performance in general. Given that these products are sold for as much as R500, the misleading and false claims made by PowerBalance have resulted in a not-insignificant material harm to many consumers. It would therefore be appropriate for a full refund on the purchase price to be offered to any consumers who have purchased these products. •	remove the words “performance technology” from the band itself. The Australian section of the PowerBalance website now includes a corrective advertisement, acknowledging that there is no scientific evidence for their claims relating to the products, and offering refunds to customers (http://www.powerbalance.com/australia/CA). However, the same website’s South African section, as well as all their other promotional material, continues to make the false and misleading claims detailed above.